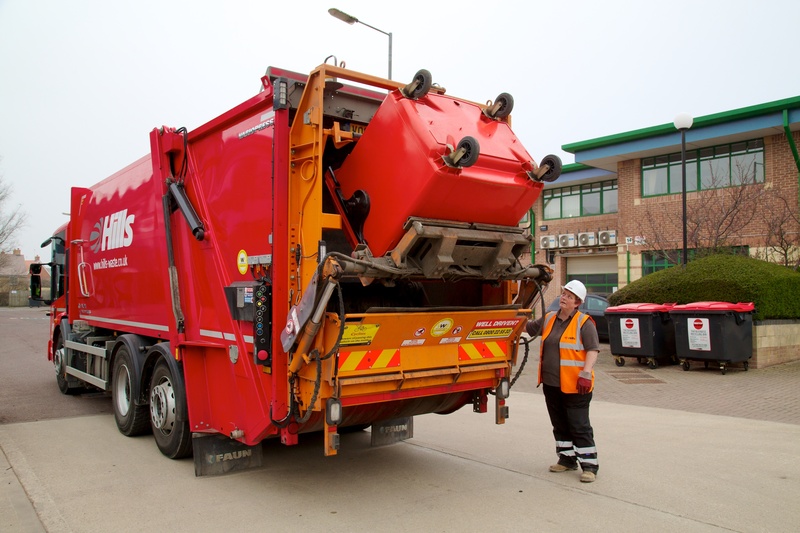 Larger volumes of aggregates will soon be available for purchase, delivery and collection from Hills’ Shorncote Quarry due to expansion of the site. 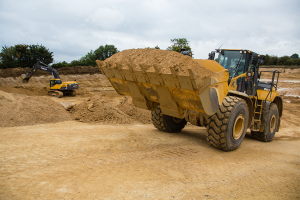 Hills will be extracting approximately one million tonnes of sand and gravel from land adjacent to the existing quarry over the next two years. 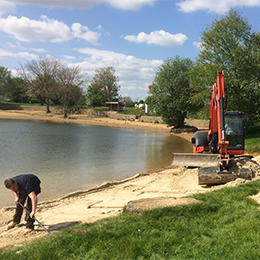 Once the extraction is complete, two landscaped lakes and a pasture field will be created as part of the agreed restoration plan. 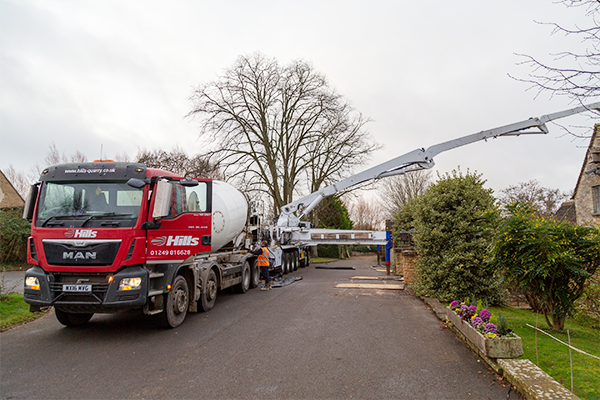 Hills Quarry Products, working with contractor Emery, went above and beyond to deliver concrete at a luxury hotel recently using one of the UK’s largest concrete pumps. 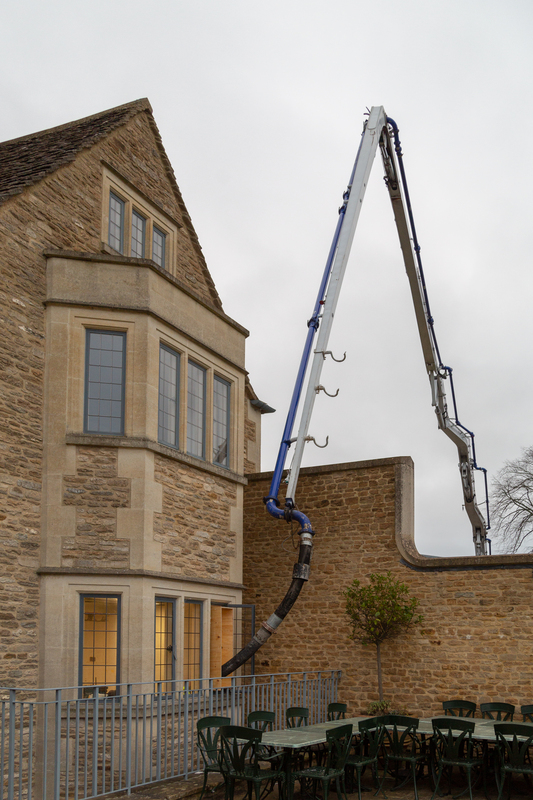 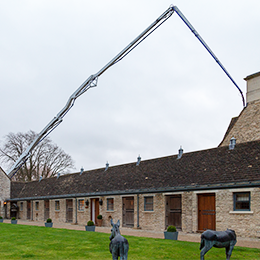 13 cubic metres of concrete was impressively pumped over the roofs of multiple buildings and down through a narrow leaded window at the prestigious Whatley Manor Hotel and Spa in Wiltshire. Hills Quarry Products was contracted by Emery to deliver the ready-mixed concrete to create a new floor inside a kitchen as part of the hotel’s recent major renovation work. The concrete was supplied from Hills’ Lower Compton site and one of the UK’s largest concrete pumps with a placing boom of 60 metres in length from Camfaud was used for the successful delivery up, over and through buildings to the required location.